A pack of birds take flight. 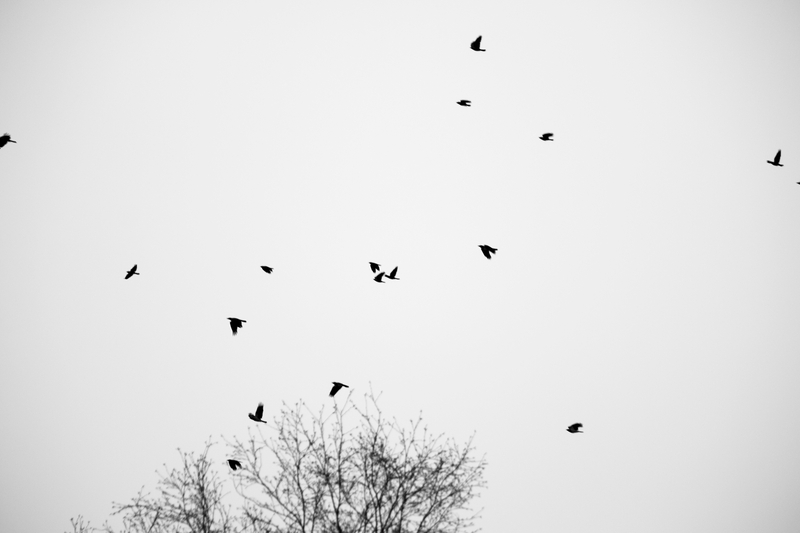 This beautiful picture is black and white is birds that are taking flight from people. It would be perfect for a living room or bedroom a nice piece of wall art.